Blood Pressure Checks Many members of our community live with high blood pressure. Medication is commonly prescribed to treat this problem. People often work through adjustments to their medication until the levels are acceptable. Doctors at times will ask their patients to check their blood pressure regularly to determine how effective the medication is working. 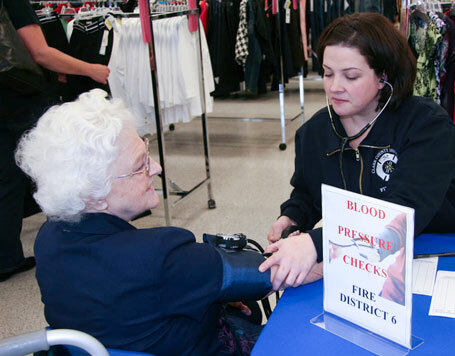 Stopping by your local fire station provides a consistent means of getting blood pressure readings on a regular basis. Visit one of our Fire District 6 fire station closest to your home. If the door is locked, ring the bell. Unless firefighters are out of the station at an emergency, they will be happy to assist you.